Don’t miss your chance to get the replica jersey t-shirt of All Star Allen Craig! In honor of the former Redbird’s birthday yesterday (July 18) and his All Star appearance, we will be giving away shirts to the first 3,000 fans in the park. Due to weather and unplayable field conditions last night, the series opener with the Oklahoma City RedHawks was postponed. The game will be added tonight, July 19, into a doubleheader with two seven-inning games. First pitch is scheduled for 5:05 PM with gates opening at 4:30 PM. The Coors Light Block Party will begin at 4:30 PM and run until 7 PM, so come enjoy live music and $2 Coors Light as planned! 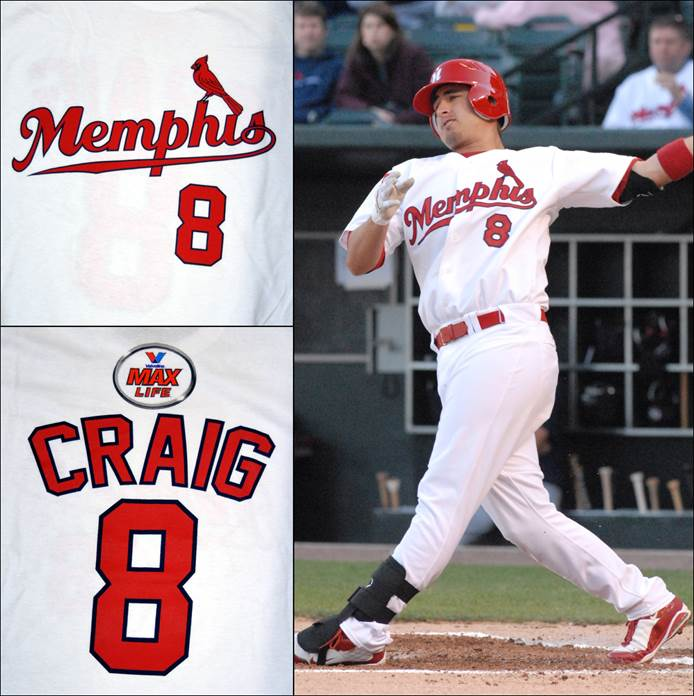 Of course, dont forget the Allen Craig replica jersey t-shirt!